We are big fans of a beautifully done kitchen. I cook nearly every night of the week. We have found that either you go out for great meals or you cook them in. I look forward to the rhythm of our day ending with an hour or so prepping a good meal. There is something very rewarding about it. I have piles of great cookbooks all over the house and we use them weekly to plan meals. Our favorite shoes typically revolve around great food, have you watched Mind of a Chef?! Though we stick to eating healthy and non-indulgent meals, we love to create our meals in indulgent ways with pretty items that keep us inspired. Every foodie loves to enjoy a pretty pot to serve their meal in, a good apron to keep them clean, and a fancy type of oil or salt to experiment with. 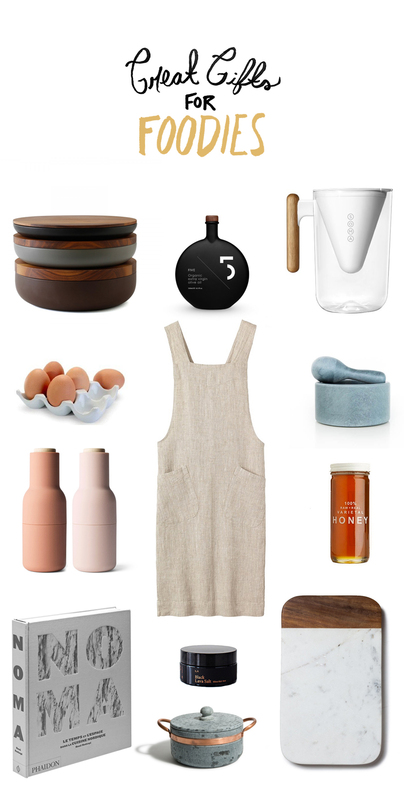 We rounded up some favorite items we have and some things that we think would be fun to have around to make cooking life a little more fun. 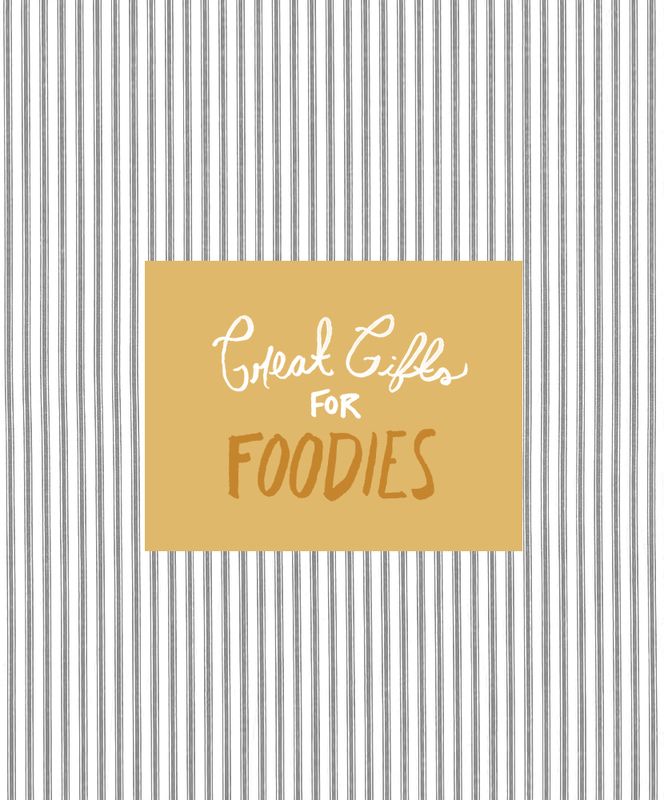 All sorts of perfect items for the foodie in yourself or for someone you love. These are great ideas! I gifted a foodie an egg crate from Anthropologie last year. That cheeseboard would make a nice gift. Oh I like these ideas, I really like the plant based water filter. That is something I don’t currently have in the kitchen.